While some were having picnics or spending time at cemeteries this Memorial Day weekend, my fiancé and I drove the seven hours to his hometown, Allegan, Michigan. We decided to take this road trip because we haven’t seen his family for a little while now, and we both had the holiday off work and school. While driving and being there, I decided to document our weekend. I always enjoy visiting Michigan because it’s completely different from my hometown, Mountain Top, Pennsylvania. Michigan seems very flat to me, considering I’m from the mountains, but I think it’s still beautiful. I love driving past the farmland and seeing the different sights, like Lake Michigan. I was never too fond of oceans, granted Lake Michigan is a lake. When I first saw it, I thought it was an ocean because of its size and beaches. Yet, a stop at Dairy Dayz always makes the day better. Seriously…their large twist cone has a foot of ice cream on it. They have a special window they hand it through because of the height. It’s awesome. Following Dairy Dayz, one of my favorite places to visit while in Michigan is Saugatuck. Saugatuck is a small town right on lake Michigan. People are drawn to the art galleries, harbor, restaurants, scenery, unusual stores, and tourist attractions such as Saugatuck Dune State Park, as well as Oval Beach on Lake Michigan. I think I enjoy Saugatuck so much because it’s a nice small quiet town where people thrive. The close town is refreshing and relaxing in a way. Brian and I love to walk around and see the different stores and what they hold inside. 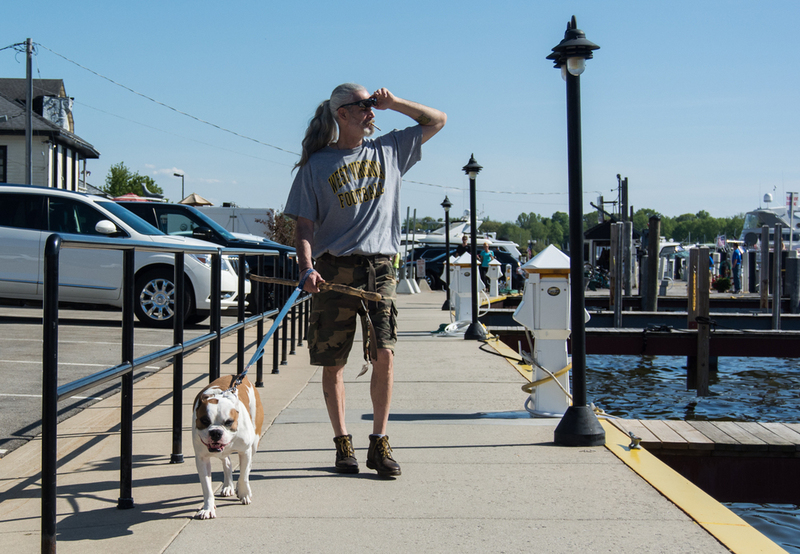 One of our favorite spots is walking along the boardwalk and seeing all the different sized boats. Occasionally, we will buy bread and feed it to the many ducks and seagulls that wait for a treat. After Saugatuck, we decided to drive around Allegan in my favor. I asked Brian if we could do this because I wanted to photograph more sunsets for my business. So, we hopped in the car and even took Brian’s dog, Hanna, for the ride. We drove around the town for a little while, until it was too dark, and we had to head back for dinner. While heading back to Pittsburgh, Pennsylvania I decided to photograph the farmland that we encountered while on the turnpike. It was a gloomy day, so some of the clouds were very dramatic as we drew closer to the city. Overall, our trip in Michigan flew by, but we had a great time seeing family and having our little adventures. I’m looking forward to making a road trip back soon.